This is such a serious issue that it certainly deserves we spend more time thinking it over. Psicronos, a Portuguese clinic I also work with organized last week end with Câmara Municipal de Portimão (Algarve) a seminar about bullyting, non-violence and education. I had the pleasure of being one of the lecturers and spoke about group violence. My emphasis was on what we call group mentality and the dynamics behind it it. Adolescents are specially prone to adhere to a violent mode of group mentality and a great effort is needed to help them to think by themselves and not by the mind of some violent leader. 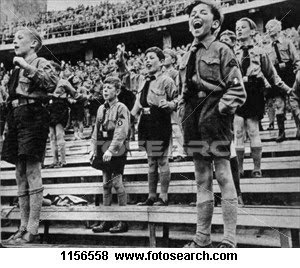 I also focused on Hitler Youth to show the point. From the University of Murcia, Spain, came Prof. Bartolomé Blor to speak about the attitudes about violence in the educational context.